Return to peaceful Crossroads, Texas, where community comes first and love thrives in the unlikeliest places... Yancy Grey is slowly putting his life back together after serving time for petty theft. As he rebuilds an old house, he finally has a sense of stability, but he can't stop thinking of himself as just an ex-con. Until one night, he finds a mysterious dark-haired beauty hiding in his loft. But who is she, and what secret is she protecting? The art gallery Parker Lacey manages is her life--she has no time for friends, and certainly not lovers. 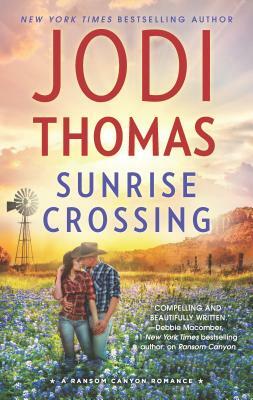 But when her star artist begs Parker for help, she finds herself in a pickup truck, headed for the sleepy town of Crossroads. A truck driven by a strong, silent cowboy... Gabe Snow has been a drifter since he left Crossroads at seventeen after a violent incident. When he accepts a job in his hometown, he'll have to decide whether he can put the worst night of his life behind him and build a future in the community that raised him.